Changes within your body cause the blood sugar levels to rise higher than they should. Your pancreas still produces insulin, but your body does not process that insulin correctly. 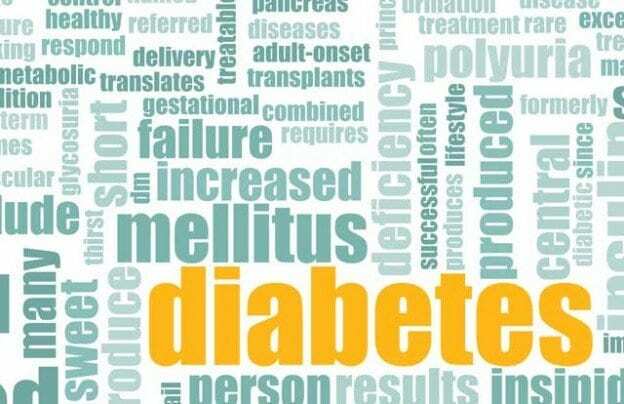 Currently, treatment for type 2 diabetes is oral medication. Insulin shots are not used in type 2 diabetes unless the patient cannot control their blood sugar levels with diet, oral medication and exercise. Most times, type 2 diabetes is attributed to being overweight, even obese, lack of exercise, and having a poor diet, but genetics and environment are also thought to have a role. (Varying theories abound about this.) You can control this condition without going into injections, but you have to take care of yourself so you don’t get to the point where you need injections. If you’re overweight, lose the weight. If exercise to you is walking to the fridge, get outside and walk, walk, walk. Do everything you can to prevent your condition from worsening. You’re in charge of it, it’s not in charge of you. Insulin resistant is a condition in which your pancreas makes extra insulin to make up for the higher than normal blood sugar levels that you are running. A lot of times, this is referred to as “pre-diabetic” condition. Eventually, the pancreas stops making that extra insulin and your pancreas just can’t make enough insulin to keep your blood sugar levels where they should be. When this happens, you’ve graduated to a diagnosis of type 2 diabetes, and all that that encompasses. Before that graduation to the next level, this is a very important time for you to take charge of your health. The longer you can delay the diagnosis of type 2 diabetes, the better health you will have in the future. Insulin resistance can be attributed to being overweight or obese, poor diet and lack of exercise. Insulin resistance does not have to lead to a diagnosis of type 2 diabetes. You can nip it in the bud and add years to your life by making adjustments now. Get up out of that chair, get off that sofa and move, and don’t buy candy bars and sugary drinks and stay away from any desserts. Learn about carbs. This is your life and you can change it right now. Type 1 diabetes usually strikes those under 25 years of age. Over the years, many theories have been tossed out about the cause of type 1 diabetes. One of the most current theories and the most accepted in the health field is that a virus attacks the body and a person’s immune system kicks in and on an errant mission known only to itself attacks the insulin-producing cells in the Islet of Langerhans (the cells within the pancreas that produce insulin), with this person usually having a predisposition (family history—possibly going back generations) to some form of diabetes. But, a predisposition is not always there. Some families have no history of any form of diabetes at all and then their three-month old grandchild is diagnosed with type 1 diabetes. Then again, you can have five siblings in the same family who are diagnosed with type 1 diabetes, and it’s often said in that family that, Grandma Yumkins had “sugar,” or Cousin Plumcakes had the “diabetus.” No two cases are ever the same, no two histories are ever the same, no two outcomes are ever the same. The exact cause is not known (perhaps genetics or environmental issues come into play), but being overweight and inactive are almost always contributing factors. Type 2 diabetes symptoms usually come on gradually, and they include all the symptoms listed above for type 1 diabetes. Insulin resistant symptoms are the same as listed for type 1 and type 2 diabetes. Like type 2 diabetes, the symptoms usually come on gradually. With insulin resistance, there can also be a darkening of the skin in the folds and creases of the body (armpits and around neck). This is called acanthosis nigricans. Acanthosis nigricans can also be present in the diagnosis of type 2 diabetes. Managing type 1 diabetes is costly. The range in price for insulin varies. If you’re going with the pre-mixed, the cost is much higher. With the Affordable Health Care Act (Obamacare) in place, eventually, insurance companies will not be allowed to deny you coverage for a pre-existing condition, or a costly health condition, and the medical insurance will make your supplies more affordable. Insulin injections are used with type 2 diabetes in extreme cases only when the patient does not control their condition through diet and exercise. Typically, there are no medications at this stage, but the patient is taught about nutrition and the importance of exercise to prevent their condition from worsening. If you have gone the route of using a pump, you will need additional supplies which your doctor will help you with. And the pump people out there – we heard an interesting comment from a contestant on American Idol. He stated that he had a “robotic pancreas” on his guitar strap. He was proud of it, and we’re proud of him for stating that for all the people to hear. Kudos to him!!! Eternal appreciation to him for acknowledging what was on his guitar strap. Some people have had great success with their insulin pumps; some veer away from the insulin pumps. It’s what is right for you and what works for you. Again, everybody is different. What is a diabetic coma? There are two reasons for a diabetic coma, but both reasons lead to unconsciousness and both conditions require immediate medical help or the patient could die. Low blood sugar levels. Usually comes on very suddenly and can be deadly. Call 911 immediately. Blood sugar levels drop so low that the body shuts down. If not treated, the patient is very likely to die. Hypoglycemia usually occurs in patients who have type 1 diabetes and are taking artificial insulin. The patient runs a little too far and burns a few too many calories, or they skip that important snack. Again, this is part of the juggling act of controlling the highs and lows of blood sugar levels in persons with type 1 diabetes. Hypoglycemia is a very, very dangerous condition. Call 911 immediately if a person with type 1 diabetes becomes unconscious, acts disoriented, or becomes delirious. High blood sugar levels. Usually comes on slowly, but needs immediate medical attention. Call 911. The blood sugar levels are extremely high. A child puts his head down on the desk, falls to sleep (or everyone around him thinks) and then the teacher can’t rouse him. This, typically, is an example of a child who has undiagnosed type 1 diabetes so the blood sugar levels have risen and risen and risen. Many instances of type 1 diagnoses have come about by the child being found unconscious either at home or at school. In most cases, these children are taken to the ER, given treatment and the blood sugar level is brought back under control; thereafter, the child will be taught about their type 1 diabetes diagnosis and treatment options. What is an Insulin Reaction? Low blood sugar levels to the point that intervention is needed immediately. The hands start shaking, the body seems to tremble, and the brain begins to get confused. If not treated right away, unconsciousness will occur. You can treat with sugar, candy, sugared drinks, honey – anything that is concentrated sugar that will raise the blood sugar level right away. A piece of bread will take too long to treat the condition. If the patient doesn’t respond, call 911. In reference to diabetes, the body has a lack of insulin and then produces ketones in the blood. This condition is usually found when the blood sugar levels are extremely high and is usually found in a patient who is newly diagnosed, or anyone with extremely high blood sugar levels. This is what causes the fruity smell that can at times be detected in a person with undiagnosed type 1 diabetes. This is a plainly written information paper on the difference between type 1 and type 2 diabetes. Always consult with your doctor about any questions you have regarding your diabetes. The Juvenile Diabetes Research Foundation (JDRF) and the American Diabetes Association (ADA) will always answers any questions you may have and help you in any way that they can. Never hesitate to call them. This entry was posted in Diabetes 101 on March 1, 2015 by admin.